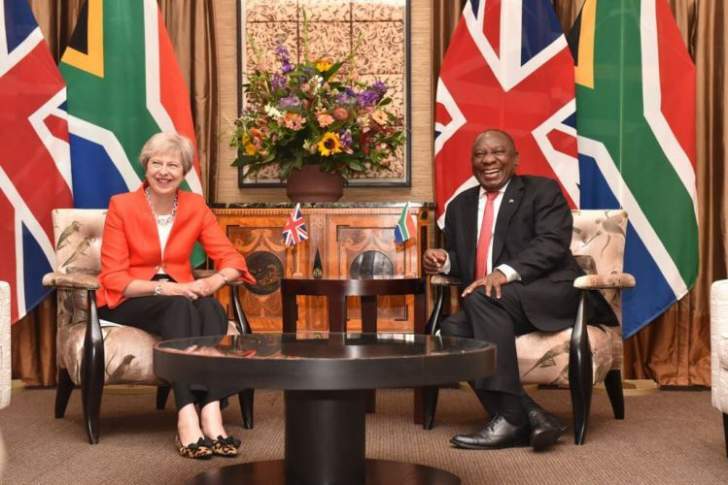 British Prime Minister Theresa May says the UK supports South Africa's land reform programme provided it is carried out legally. Prime Minister May was speaking in Cape Town, South Africa, today, adding that she would discuss the issue with President Cyril Ramaphosa. "The UK has for some time now supported land reform. Land reform that is legal, that is transparent, that is generated through a democratic process. "It's an issue that I raised and discussed with President Ramaphosa when he was in London earlier this year. I'll be talking about it with him later today," May told reporters. May is in SA on a state visit before travelling to Nigeria and Kenya as part of a trade mission aimed at boosting post-Brexit fortunes.